It’s time for another installment of Back to the Basics! 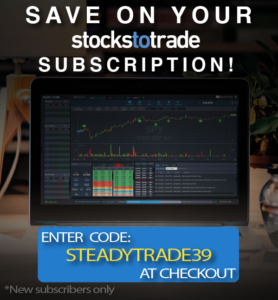 This is a monthly feature where the SteadyTrade Team explores the basics of trading, including explanations of common techniques and helpful advice for traders of all levels. Stephen Johnson couldn’t be part of today’s episode, so Tim Bohen has a special guest: producer Glenn, whose voice will be familiar to podcast listeners. 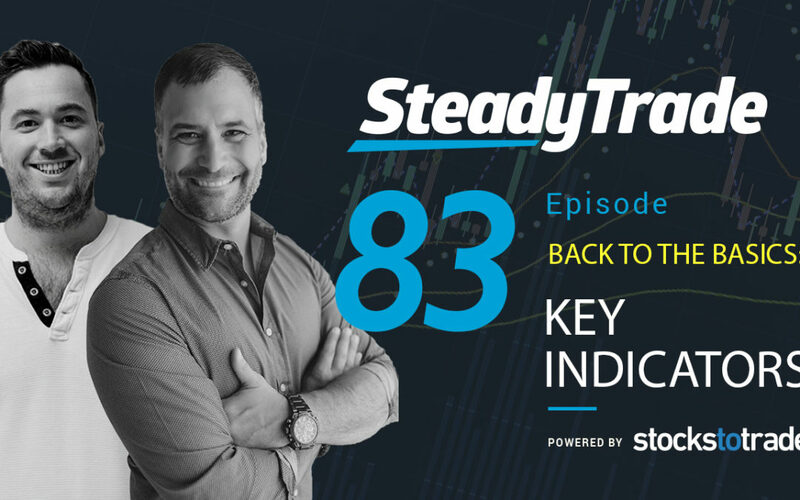 Together, Tim and Glenn answer listener questions and reveal plenty of trading secrets that can help you hone your skills. Are you interested in submitting a question to be answered in a future Back to the Basics episode? If your question is chosen to answer on-air, we’ll send you a mystery box full of trading goodies like t-shirts, trading journals, and more. To get the ball rolling, click on the “submit your audio” portion of our website! “I know you guys are big on tracking data. Can you explain what we need to track — green day, etc. — and how do you interpret the data?” – from Marcus C.
According to Tim, tracking data is one of the biggest reasons why keeping a trading journal is so helpful. He brings up an example of his own journal and talks about what to track, including the obvious things (the ticker, etc.) but more so, the why. Among Tim’s advanced tips for tracking? Name your setup so that you can refer back to it in your notes, keep track of the technical indicators you used, and always note the previous day’s close. Scott’s question brings up a great point: How to create an effective trading strategy when you’re only trading part-time. Tim goes through an example with a high-a-day and explains some of the best ways to catch those big moves. He talks about a stop limit order and how it can be a great tool, especially for part-time traders who might not be able to be chained to their trading monitor all day. In case you’re not familiar, a stop limit order effectively sets up criteria including a stop price that activates your limit order. Say you set a stop limit order where a stock reclaims a high. This could kick off your limit order, which will be executed when it reaches a set price. It’s sort of like an “if…then” statement. It’s a great way to take advantage of moves if you’re not around. Learn more in the episode about how to make the most of this helpful tool! “Can you talk about indicators to help with trading?” – from Lorenza P.
There are more indicators out there than any trader could possibly know what to do with. Does this mean that you need to learn them all? Not necessarily. Tim talks about how for new traders, it’s less about mastering every indicator and more about mastering a key few. He talks about some of the key indicators for new traders to look at and why, including the 52-week high (most) and low, the previous day close, new highs, VWAP above and below, and volume. “How do you play off daily support and resistance levels?” – from Blaine B. According to Tim, you should never make a trade without looking at the daily chart. To illustrate, he gives an example of a crazy growth stock and discusses strategies for working with support and resistance. You’ll learn about the obstacles you’ll need to contend with, including bag holders and how they can mess up your strategy. You’ll also learn why you need to avoid long-term downtrending charts and the surprising reason why the one year–one day chart is your best friend as a trader! Do you have a suggestion for a topic for an upcoming “Back to the Basics” episode? Drop it in the comments below, or on YouTube! What strategies or sectors would you recommend in a market that is so uncertain and choppy? Loved this one guys!! Glenn was great too. I loved his comments and questions because it was exactly like what I’d ask if I was there talking to Tim. I agree, Tim…. these are my favorite kinds of episodes too. 🙂 Keep these coming!! So I have recently heard someone talk about these fancy terms such as 9 ema and then 50 psma, which I have never heard before or even will bother looking into. Are these just some people over complicating their trading, or are these legit indicators that many traders use?